Royal Gold has worked closely with the top tobacco growers and blenders in the industry to bring you a selection of handmade cigars with real value and flavor at a great price. 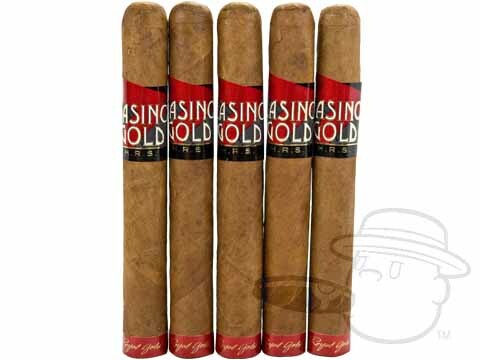 Blended by Nestor Plasencia Sr. & Jr. in Honduras using five distinct high-quality variations of carefully grown tobacco, Casino Gold HRS Cigars are a medium bodied, flavorful smoke that can be enjoyed anywhere at any time. Whether you're at the casino, on the road, or just at home relaxing, you'll feel like a high roller when you're smoking Casino Gold. Gold Strike cigars are crafted in Esteli, Nicaragua from a multi-nation blend of filler tobaccos wrapped in a smooth Indonesian Sumatra leaf. 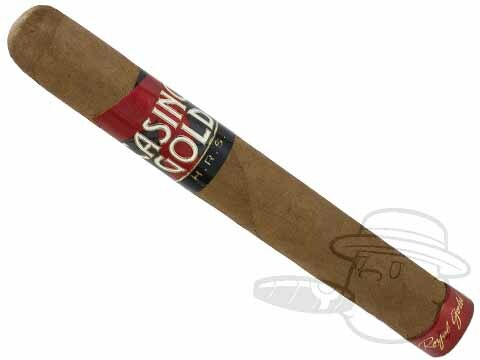 Handmade in the traditional Cuban Sandwich style, Gold Strike brings you the same quality tobacco found in some of the most sought-after premium cigars in the world at a price that you can afford to enjoy everyday.